Many papers written jointly by Olga and Nina Ural'tseva were devoted to the investigation of quasilinear elliptic and parabolic equations of the second order. At the start of the last century Sergi Bernstein proposed an approach to the study of the classical solvability of boundary-value problems for equations based on a priori estimates for solutions as well as describing conditions that are necessary for such solvability. 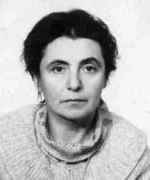 From the mid-1950's Olga and her students made advances in the study of boundary-value problems for quasilinear elliptic and parabolic equations. They developed a complete theory for the solvability of boundary-value problems for uniformly parabolic and uniformly elliptic quasilinear second-order equations and of the smoothness of generalized solutions. One result gave the solution of Hilbert's 19th problem for one second-order equation. She died unexpectedly in her sleep on 12 January 2004 shortly before her 82nd birthday. She loved St Petersburg but she was also a sun worshipper and had been due to be in Florida from January 12th during the long dark days of winter in St Petersburg. However on the eve of 11 January she went to rest before her long trip and passed away. Two days before her death her spirits were high, she had sketched a paper on some computational aspects in hydrodynamics and planned to finish it in Florida. Even up till her death she was coping with the challenge of serious eye problems affecting her sight especially during winter darkness so she used special pencils for writing.